Does your dog hate going to the vet? Many dogs do, and it is a very problematic, yet common problem for pets. The vet causes a lot of stress when your dog learns to associate it with strange handling, poking, and prodding. Dogs that are nervous at the vet may growl, bite, or need to be muzzled. 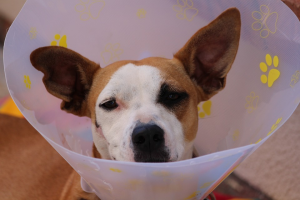 They may also be sedated to prevent injury to the veterinary professionals, yourself, or your own dog. Luckily, there are a few tips and tricks that can be used to increase calm behavior at the vet. Prevention is always the best, and easiest step for making veterinary trips successful. If you’re just starting with a puppy, now is the perfect time to get them used to the vet! Start off by handling your puppy often. When your puppy is sleepy or calm is the best time. Gently pinch paws, stroke tails, look in the mouth, eyes, and ears, and make it a fun game. When your puppy sits still for handling, offer a treat and some praise! While this is easiest on younger dogs, you can start to gently handle your older dog this way as well. Be sure to take breaks if they become stressed as you want this to be a positive experience! 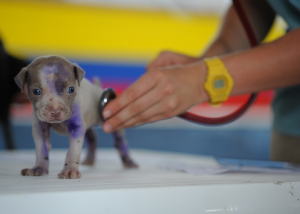 In addition to handling your puppy or dog often, practice trips to the vet can help. A practice trip is where you go just to have your dog walk in, sniff around, and get a few treats from the staff. Call your vet ahead of time to make sure there isn’t an emergency or full schedule of appointments before you go! Once there, bring a favorite treat. 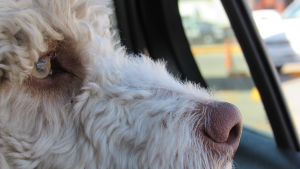 Offer it every time your dog shows calm behavior in the car, in the waiting room, or when approached by an employee. This helps your dog begin to associate the vet with more positive experiences rather than an always negative one! Many vets are now training their technicians in a technique called low-stress handling, which can help make vet visits easier. This is a way to safely restrain pets without making them more fearful. Finding a vet that does this is a good option for owners of fearful dogs that don’t like being handled or restrained. Sometimes, the vet may just be too stressful for your dog, even with positive reinforcement, treats, and gentle handling. In some circumstances, sedation prior to or at the vet may be the best way to reduce stress for everyone. Having your dog sedated is NOT a failure of training. It is a way to safely handle your dog and keep your dog from reacting in a fearful manner. Talking with your vet to see if this is an option is always a good idea. Starting early, handling your dog often, making vet trips fun, and rewarding calm behaviors are all great ways to make a trip to the vet less stressful. Even if your dog needs to be sedated, reducing stress as much as possible is best to keep your dog in his or her best health. Still not sure how to get started? 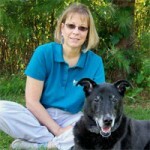 Talking with your local dog trainer or behaviorist is another great option! I liked your idea of getting your dog to the vet as soon as possible so they can get used to the routine of the vet. I definitely didn’t do that when I got my dog, Buster. Luckily, I am getting a new puppy in months to come so I will definitely get them accustomed to the vet before it’s too late. My dad wanted to make sure that his new pet dog will be able to receive all of the needed vaccines and care. It was explained here that often trips to the vet can be a good practice for the pet. 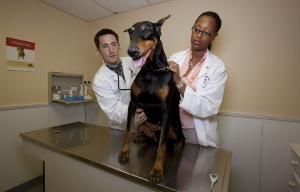 Moreover, it’s recommended to go to trusted veterinarians for quality pet care. I’m sure it’s a good idea to get your dog used to going to the vet at an early age. That will get them comfortable and allow them to see that it doesn’t have to be a bad experience. Using praise and treats is always a good idea to help them associate positive responses with going to the vet, like you mentioned. I’m looking at getting a dog soon, so I appreciated the tips you gave for making vet visits better. My favorite suggestion you gave was to take practice trips to help get your pet used to being in the car. I’ll definitely keep this in mind since I want to make sure my dog is comfortable with the visits he’ll need to make to the vet. I liked your idea of going on practice trips to the vet so that they don’t associate negative feelings with the place. I have been thinking about how I can make my dog feel more comfortable around our vet. I think that teacher her this will really bring a positive impact on vet visits. Thank you for suggesting that you should make sure and work with your vet. I need to find a new vet for my dogs. Hopefully, I can find one that we will all love. I really like the idea to take your dog to the vet for a practice trip by letting your pet sniff around and get familiar with the staff. My family just adopted a young Golden Retriever, and she can get a bit shy around strangers. Practice trips would really help her out, so we will be sure to find a vet that will allow us to come in and visit for the sake of our pet. I agree that you should start getting your dog used to the veterinarian early. It’s good to know that one of the best ways to get them comfortable is to touch their paws, tail, mouth, eyes, and ears, like you said. This probably makes them more comfortable with the veterinarian touching them and will help them with any anxiety. I like your advice on preparing your puppy for vet checks by making it a game with fun prizes. I was thinking about getting a puppy but I was nervous about the process of taking it to a veterinarian. I think your advice on handling it on my own to prepare it will make it a lot easier when I do decide to get one. Just recently, my fiance and I adopted a puppy named Boomer. Both of us want to make sure that Boomer gets the best possible care to stay healthy and happy. We will be sure to look for a veterinarian that uses low-stress handling to make sure animals stay calm. We’re needing to take my dog to the vet and we aren’t sure about how to keep him calm once he’s there. I liked that you had mentioned that it can be important to practice a few trips and give them a reasonable experience of going on car rides. We’ll have to start looking for a veterinarian in the area that we can visit a few times before our appointment to get our dog used to the idea. After my fiance and I moved into our first home, we adopted a puppy named Boomer. Boomer is a beautiful Boxer mix and we both want to make sure that he stays as happy and healthy as he is. We love and will look for a vet that uses low-stress handling. My husband and I just got a dog and we really don’t want them to be nervous at the vet whenever we take him. That is a great idea to take a practice to the vet to help! I like the idea of giving them treats whenever he behaves so he knows it is a good place too! Thank you for the tips! I like that you mentioned to take your pet for practice trips. That way, he won’t be as stressed to get in the car when you take him to the vet. My dog gets really stressed at the vet, and I am looking for tips to make it easier on all of us. I will give this one a try and see if it helps, thanks for sharing! I did not know that my dog can even be sedated in case his behavior does not let to get him examined! I have a small puppy, and I believe we will have lots of problems with his behavior at the vert as he is very playful and not calm at all. I hope that a doctor will be able to put up with his energy during the inspection! Find a vet that takes time with you and your pup and practices “low stress handling techniques” and you should be fine! I am thinking to buy my first dog ever and your tips look very effective. Thanks for share. I like your idea to take your dog on some practice trips to the vet. That way, he can become familiar with the environment and be more comfortable for the real trips. I am trying to find ways to make my dog less nervous about vet visits. I will definitely give this a try, thanks for sharing. When we got our dog, she was already seven years old. She had a hard time adjusting to the vet because she hadn’t been taken before. I agree that you should start young with your pets so they handle it better. And I love the “low stress handling” movement that is taking place in so many professional pet fields. It makes such a difference for the animals and humans! I like your suggestion of working with vets who use low-stress handling. My dog gets scared extremely easily. She doesn’t trust strangers and acts up whenever we put her in the car. We’ll have to work with our vet and try to get her used to him so she’ll be better when we need to take her in. Hi Sam! Yes, vets are actually advertising it now and I’m so happy people are starting look for it when making decisions concerning their pet’s care. My last dog loved the vet due to early puppy experiences. My recently adopted rescue dog, not so much. Maybe I’ll take him for a social visit now! My wife and I just got our first dog together, and I think that being able to find a vet is our next big decision. I’m glad that you talked about some ways to help with calm behavior for our dog when we take him in for checkups or treatments. I really like the idea of low-stress handling training by veterinary technicians, and I think that being able to have our dog cared for while he’s calm will make it a much better experience all around! Hi Max! Yes finding the right vet is a crucial decision. I love the fact that my vet does follow up calls and stays late to return phone calls. If only I could find a medical doctor with the same convictions. I’ve been worried about taking my dog to the vet for the first time as he can get nervous around other people. I liked that you had mentioned having a practice trip to go in and meet the vet and just walk around the building, I hadn’t realized how important this could be to familiarize them with the area. I’ll be calling offices ahead of time to try to schedule because I want my dog to feel as comfortable as possible around the specialist. Hi Roger and thanks for reading our blog. I have to do the same thing with my new rescue dog – he came with a history of hating needles and of course, we’ve already needed to do a blood draw. Lots of peanut butter and a patient vet and vet staff were key! I just bought a new lab and are super excited about having him. Your advice on getting your dog used to the vet is so true. I will be sure and have regular visits with him. Getting a vet that is experienced and good with your dog is key too. Hi Kenneth and thanks for reading our blog! Hope things are going well with your new family member. 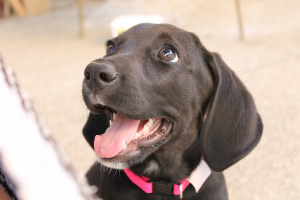 If you have a young puppy, it’s easy to counter many of the factors that make vet visits not-okay. Think about the handling a vet would do, and get your puppy comfortable with it in a relaxed way at home. That helps her learn that it’s safe to be touched by people she doesn’t know as well as she knows you. Replied to Why do pets need a water fountain? Absolutely a great idea and we encourage our puppy preschool students to do just that. I like that you recommend taking practice trips to the vet. It makes sense that this could be very beneficial to teach the pet that a veterinarian office is a friendly place that they need not be scared of. Thanks for the post; I’ve noticed that my dog is very nervous around unfamiliar places so getting him familiar with perhaps the most important place could be very good so he’s comfortable whenever we go. Proactive training is always easier than reactive training too. Glad you enjoyed the post!